Before we announce our December project tomorrow, we wanted to share the results of our Thanksgiving Project. Some of you follow us on social media and already know the news, but for those of you that don’t, we surpassed our goal! 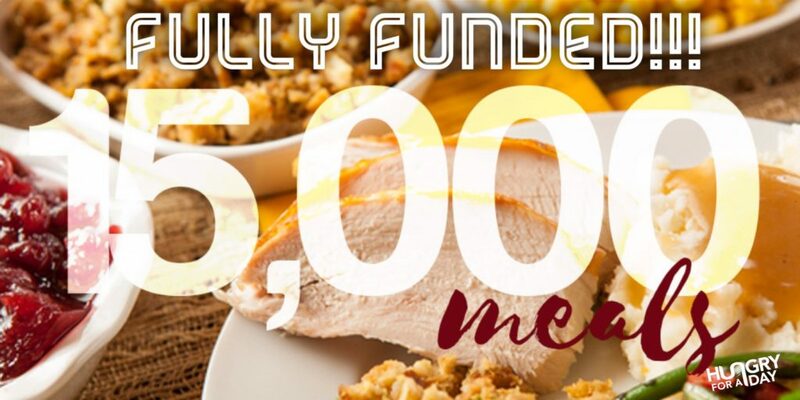 We were working to provide a Thanksgiving meal to 15,000 people this past month and we were able to feed 15,075 due to our community’s generosity! Followers of Hungry For A Day, 9 corporate partners, and 10 faith partners worked hard to bring hope to so many! We can’t thank you enough! All we can say is WOW! Thank you again for your generosity and the way you live with open hands!